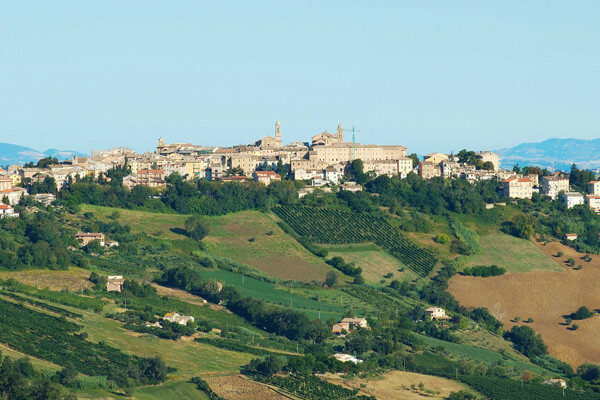 " Le Marche " , a beautiful , diversified region in central Italy. It impresses by its rolling hills , its sandy coastline and its rugged mountain regions. A typical piece of Italy with its own character, the soul of "Le Marche" and the way of life has not yet succumbed to the stream of tourists . 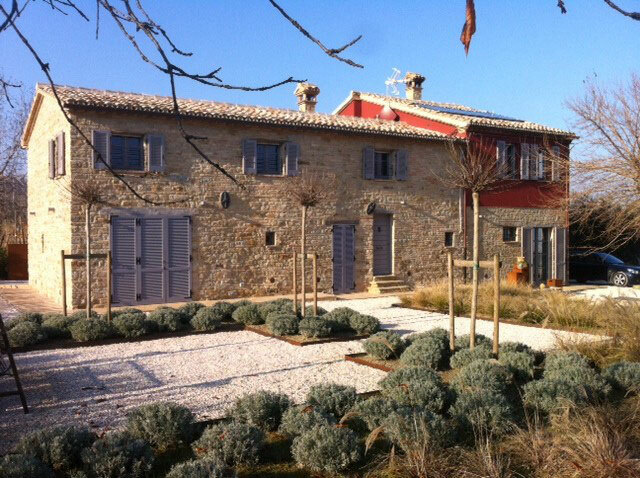 Le Marche offers an all around program. The sandy beaches of Senigallia and the hidden coves of the Conero National Park invite you to swim and taste the " dolce farniente ". 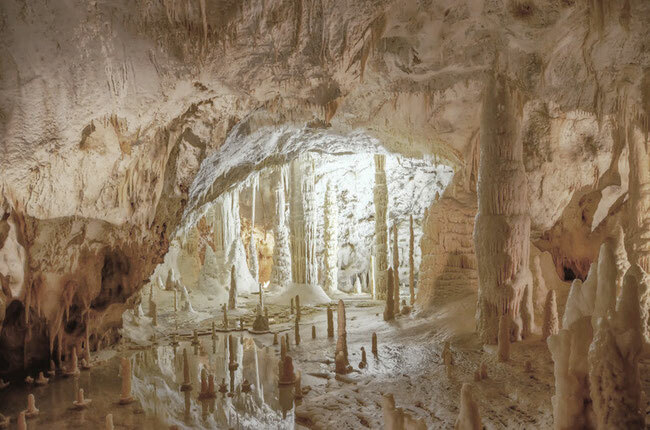 In the caves of Frassassi the underworld can be explored, while the bikers can challenge the hills. 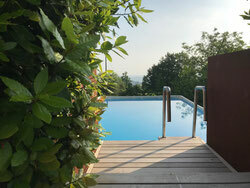 The vast national park with its beautiful panoramas invites you to walk and relax and in the evening you can enjoy culture at its best in the semi-circular open-air theater of Macerata or taste the local delicacies with appropriate wines. 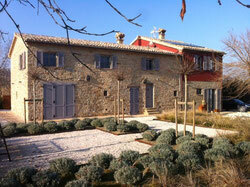 Cupra Montana, 505 over sea level, is surrounded by olive groves and vineyards. 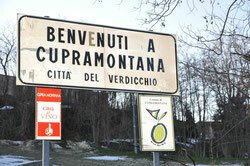 With approximately 5000 inhabitants Cupra Montana is one of the most famous towns of the region. You will find shops, bars, typical restaurants and pizzerias. 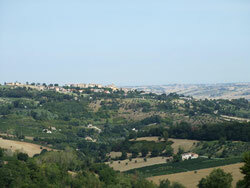 The city is famous for its Verdicchio wine, a very good, fruity white wine that can be tasted at each winery. 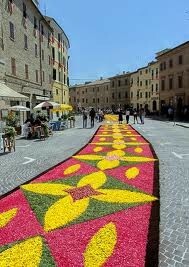 You find typical Italian celebrations throughout the year. 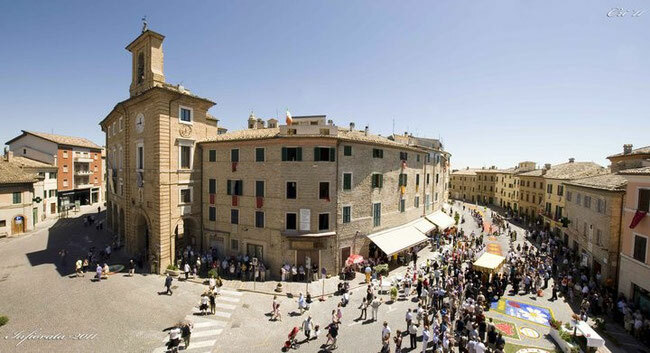 Well known is the wine festival " Sagra dell'Uva " , the first weekend in October.